DUBOIS, Pa. – The DuBois girls’ basketball team will open the postseason at home at 7 p.m. Monday, Feb. 18, when it hosts Bellefonte in the District 6-8-9 quarterfinals. The Lady Beavers are the fourth seed in the five-team tournament with Bellefonte checking in as the fifth seed. Monday’s game is the lone quarterfinal game in the tournament. The winner will play at top-seeded Hollidaysburg at 7 p.m. Thursday, Feb. 21, in the semifinals. The other semifinal game, also being played at 7 p.m. Thursday, Feb. 21, will feature Portage at Obama Academy in Pittsburgh. The championship game will be played at 6 p.m. Monday, Feb. 25, at Penn State Altoona. The top two teams qualify for the PIAA playoffs. 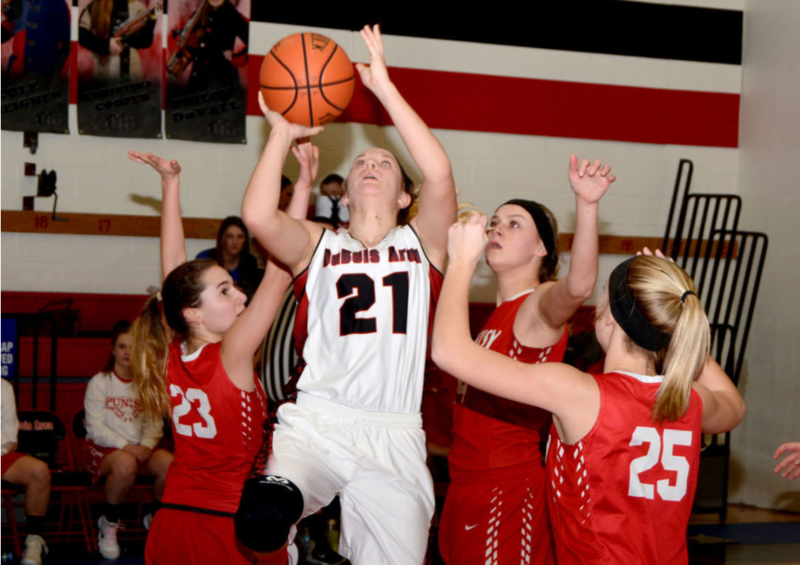 DuBois hosted Bellefonte Jan. 10 and came away with a 36-34 win.